For some people, laser eye surgery can be a safe and effective alternative to wearing glasses or contact lenses to correct vision problems. Although we don’t offer this procedure, we’ve put together this guide for those considering treatment. 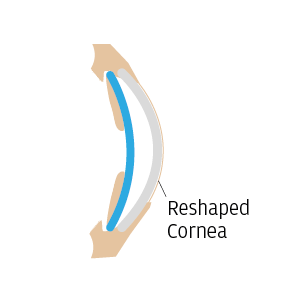 Also known as refractive surgery, this procedure corrects focusing problems by reshaping the cornea (the transparent ‘window’ at the front of the eye) with a laser. The most common use for laser eye surgery is for the correction of shortsightedness, also known as myopia. 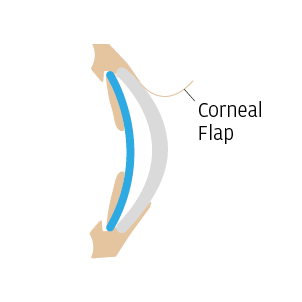 It is also used in the treatment of long-sightedness and mild astigmatism. The National Institute for Health and Clinical Excellence (NICE) produces guidance on whether procedures are safe enough or indeed successful enough to be used routinely in the NHS in England, Wales and Scotland. After considering the evidence for using laser treatments, they have decided that it is safe and effective enough for use in the NHS. They do recommend, however, that anyone considering laser eye surgery should make sure they thoroughly understand the benefits and risks of the surgery before proceeding, and weigh this against the advantages and disadvantages of wearing glasses or contact lenses. Laser eye surgery might not be an option for everyone, so you should ask your optician about the latest developments in both contact lenses and glasses technology, as well as about laser eye surgery. This will help you to choose the option that is best suited to your needs. Surgery is typically carried out on people with short or long-sight, over the age of 18, and who have had a stable prescription for at least two years. It is not however recommended for correcting reading prescriptions, also known as presbyopia, as these prescriptions change as you get older. Some high prescriptions are also not suitable for laser surgery, although they may be corrected via a method of non-laser eye surgery, known as clear lens exchange. Before you decide to go ahead with the treatment, you should try and talk to people who have already had laser eye surgery to find out about their experiences. Royal College of Ophthalmologists information. Before undergoing the procedure, you’ll have the opportunity to visit your chosen clinic where they should perform a thorough examination of your eyes. They can discuss all the options available to you, and encourage you to ask any questions that you want before deciding whether or not to proceed. 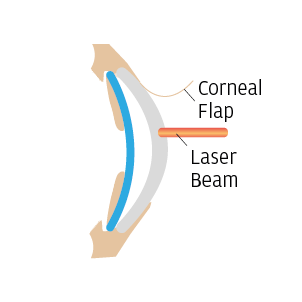 The laser eye surgery treatment process is usually carried out on both eyes during the same visit. You are in the treatment room for approximately 20 minutes, with the laser being applied for only one or two minutes. Most techniques are performed with the aid of anaesthetic drops to keep you as comfortable as possible throughout the procedure. 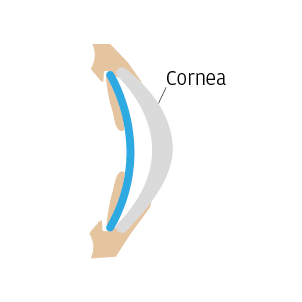 To promote faster healing and better results, the thin outer surface layer of the cornea is moved aside before the laser treatment is performed, and then gently moved back into place. There is also another type of treatment called PRK, but this is used less frequently. The majority of people who have laser eye surgery are happy with their results. As with any medical treatment you’ll need to have regular check-ups to make sure that your eyes are healing correctly.